For the Love of Travel is about experiencing the best the world of travel has to offer. A glossy magazine with sensational images, For the Love of Travel showcases your favourite destinations through high quality travel articles by leading journalists and travel writers. Whether it’s a family holiday trip or a long awaited friends’ re-union, For the Love of Travel promises to deliver by bringing the best value travel options and holidays that will build memories for times to come. 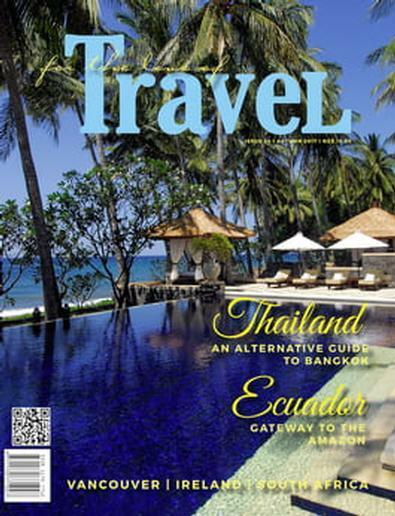 Regular features include travel news and views, destination articles, restaurants, events and exclusive deals. Be the first person to tell us what you think about For the Love of Travel and you'll save $5 on your next purchase!